Reach out to one of our analytics engineers. How does Conversation Analytics work using Woveon? Woveon pulls together all the data analytics for the billions of customer interactions and conversations into one place. We also aggregate CRM, Sales, Support customer data so your teams can measure the entire customer journey from start to finish. Conversational multi-channel analytics. Most organizations miss out on the full picture because they only leverage one or two channels to uncover opportunities. Predict customer inclinations toward specific behaviours, understand the customer, and properly engage them at every touch point. Consumers can interact with organizations in a multitude of ways. Ensure you are capturing every touch point from interaction, decision to purchase. Result: Understand complete customer onboarding bottlenecks, revenue generating channels and optimize channels for sales conversion. Track and report on multichannel behavioral, interaction and conversation data. Identify and measure the most effective customer channels and implement changes to optimize for sales, inquiries or marketing. 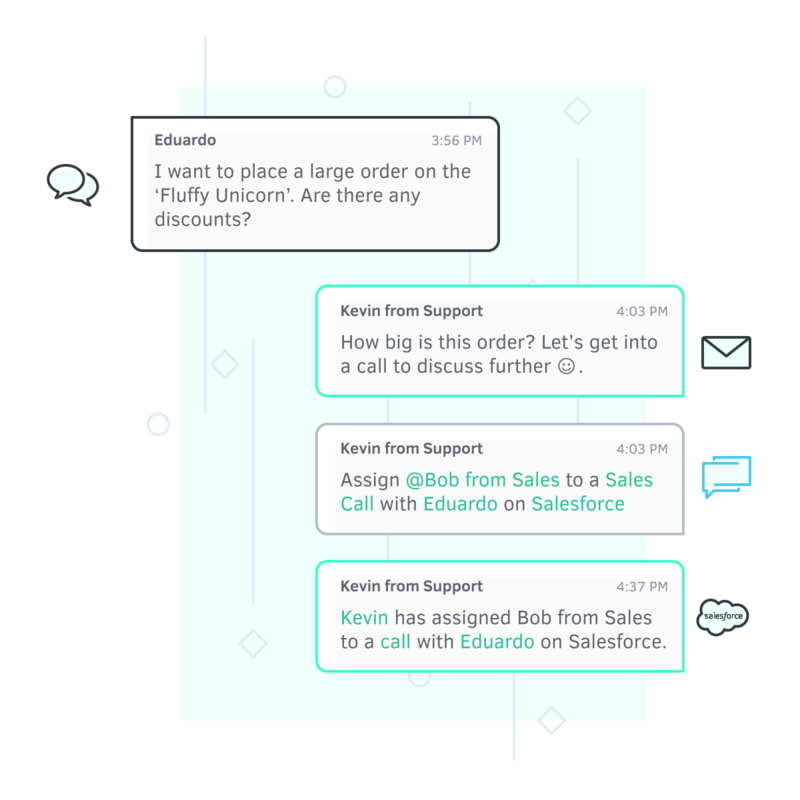 Create powerful dashboards for all the customer conversations coming in for sales, marketing, and support. Consolidate external analytics and reports using the Woveon API, IT departments no longer need to spend days connecting past customer conversations and transactions from different channels. When a customer contacts via live chat or phone, there is an entire journey from start to completion of the customer interactions, what was said, who, when and why. 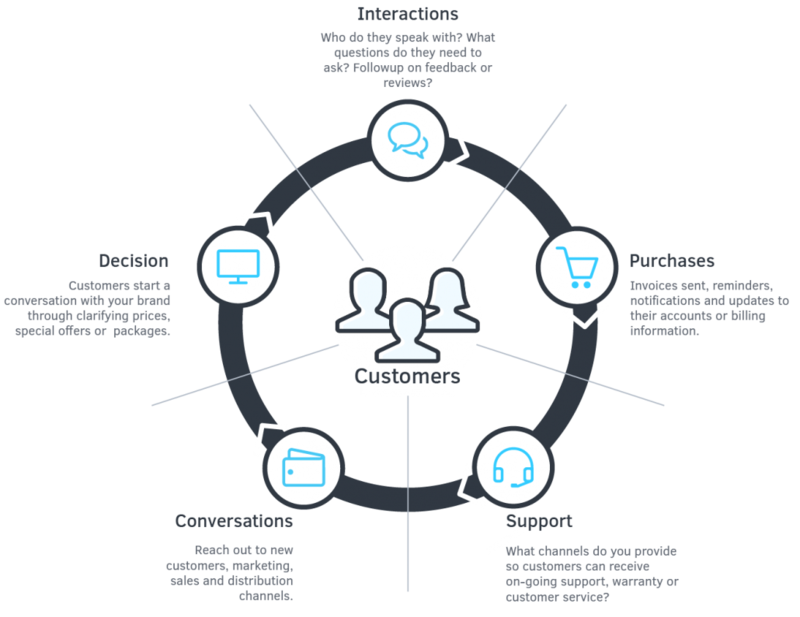 Create multi-channel customer segmentation to understand different dimensions for sales, support, and inquiries. Create customer cohorts for SMS, chats, emails and social channels. Millions of customer conversations are stitched together seamlessly. Report on the right information about the customer at the right time. Our unique Woveon API future proofs your organization with future communication channels for reporting, such as new social media platforms and new messaging protocols. We can integrate with your existing communication VOIP systems, backend phone or SMS channels and in-house systems and solutions to create powerful customer reporting data views. 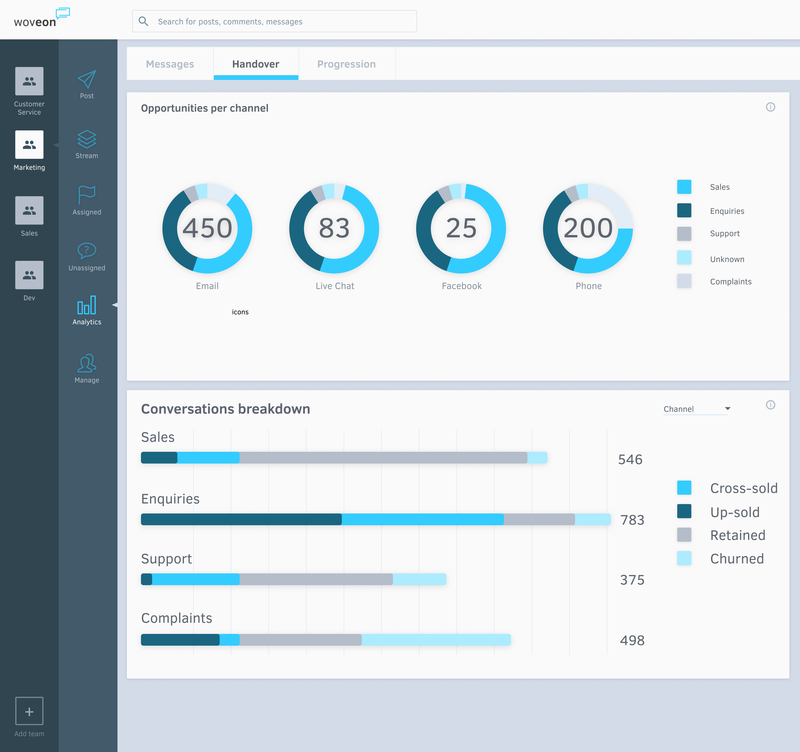 Our next generation enterprise release with even more powerful conversation analytics & reporting.